The start of a new week brought with it more admittances. An African hawk eagle with very similar paralysis as the steppe buzzard mentioned previously was brought in. He had movement in the wings and head but none in the legs. He was taken to the vet for x rays which showed us that he in fact had a broken neck and curvature in the spine. Everyone was amazed that he could still use his wings and swallow his food so well with such a significant break. Unfortunately, due to this outcome he had to be put down. 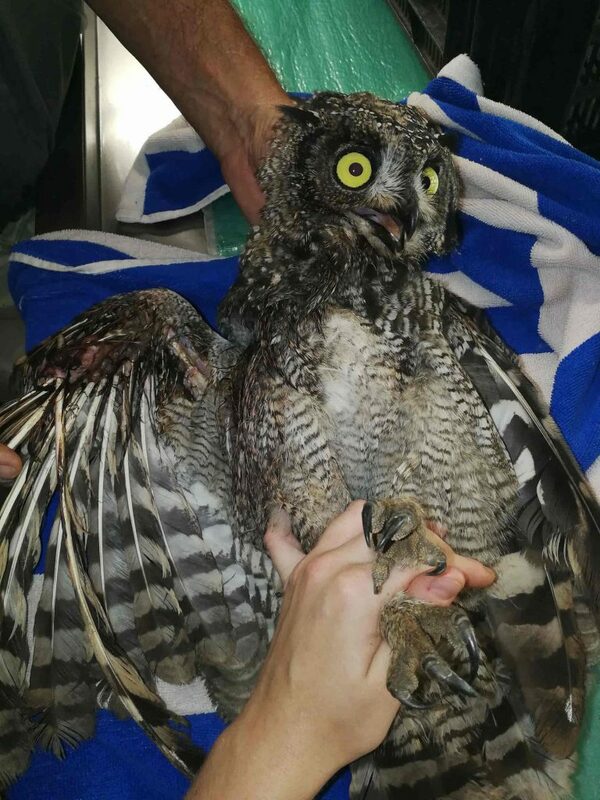 The following day a spotted eagle owl was admitted after being found injured on a farm close by. Upon examination the owl’s wing was in an unsalvageable state. 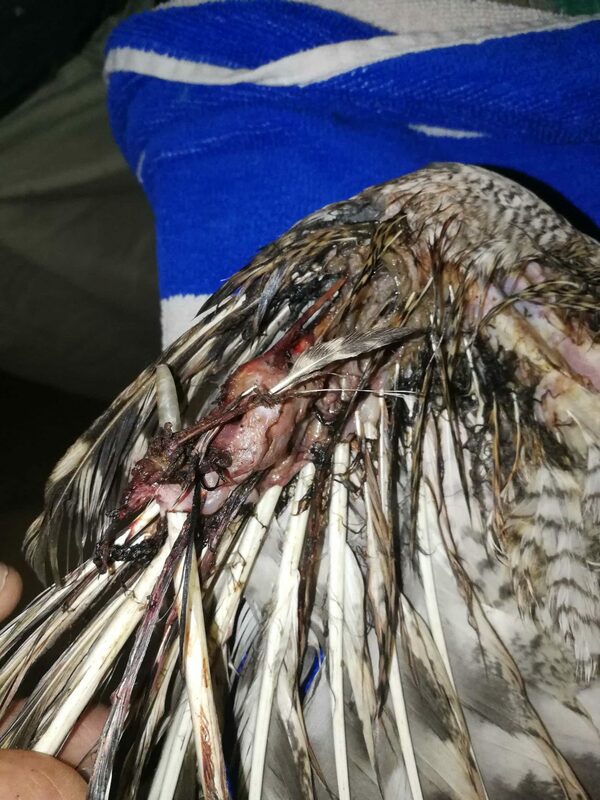 Maggots had eaten away nearly all of the flesh on his right wing and he was incredibly thin! The only option here would be to amputate the wing meaning he would be unfit for release and have to become a permanent resident here at the centre. This would not be fair on the bird’s quality of life as he is not accustom to living in an enclosure or being around people…. the kindest option here was to euthanise him.